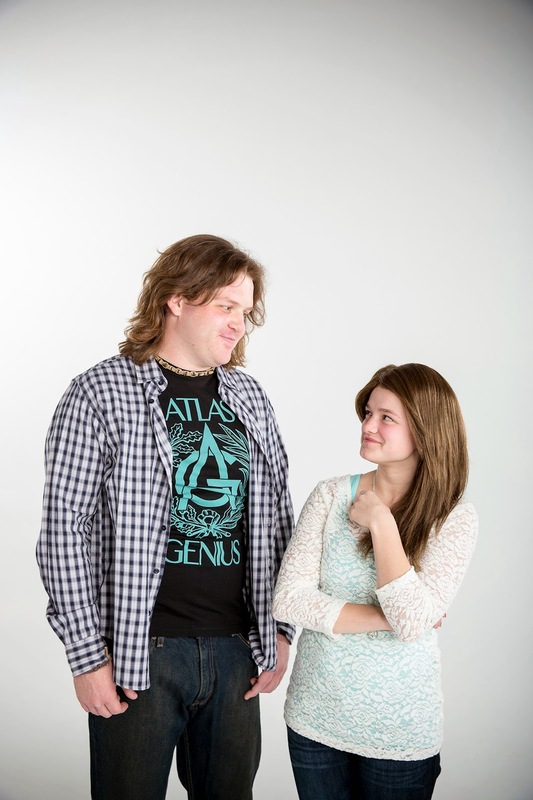 Omaha Community Playhouse's 21 & Over program presents Tigers Be Still. Poor Sherry Wickman has tried to do everything right: she's gotten a master's degree in Art Therapy; she's put out countless resumes; she's tried to be independent. Unemployed and overwhelmed, she returns to her childhood home when a job fails to materialize. Joined by a mother who refuses to leave her room and a sister who refuses to get off the couch, Sherry's life has certainly hit an all-time low. Now, if only the high school principal would put down his rifle long enough to hire her, her sister would return the Chihuahua she's dognapped and someone would catch the tiger that's escaped from the zoo, things would be perfect. A delightful comedy about misadventures in pursuit of happiness. Normal is a word that is hard to explain because every person has a different perspective on what normal is to them. Average, conforming, standard and usual are just some words that describe the word normal. 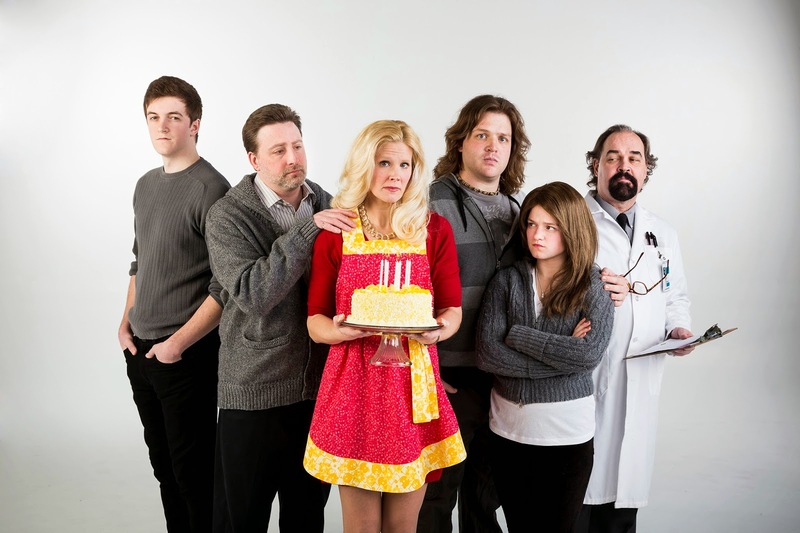 In the production, Next to Normal, a family tries to be or maintain just that. Next to Normal is a 2010 Pulitzer Prize Drama winner that tells an engaging story of a family dealing with the tragedies and realities of modern society through a dramatic rock musical production full of emotional ballads. Next to Normal unfolds with an average looking suburban family that consists of a wife, husband and their two adolescent children. Quickly, the audience learns that everything is not so normal. The characters all give important contributing factors that help interweave the message together. Here are some of the actors from the production giving a little insight to their character. Angela Jenson-Frey plays Diana, the overly-medicated mother who suffers from bipolar disorder. “I have some personal experience with the disease, as someone very close to me has been diagnosed with it. Watching and seeing the entire cyclical evolution of it manifest right before my eyes has been eye-opening to me in terms of being able to relate to the character. That's what drew me to this show in the first place,” said Angela. Grace Bydalek, who plays Natalie, can relate to her character as well. Grace plays the teenage daughter who feels overshadowed with her mother and brother’s love for each other and she strives to reach perfection and live up to the standards her brother has set. Sam Swerczek is playing Gabe, the son of Diane and brother to Natalie. “He is an enigmatic character who may come off a bit arrogant or needy at times, but there just might be a reason for that,” said Sam. This thought-provoking musical production beautifully interweaves the story together through diverse characters and marvelous music. Don’t miss this dramatic play, Next to Normal, Feb. 7-March 16 in the Howard Drew Theatre at the Omaha Community Playhouse. Tickets are $40 for adults and $24 for students. For groups of 12 or more, adult tickets are $29 and student tickets are $18. For more information please call (402) 553-0080, or visit the Box Office or click here. Artist Terry Diel has captured images of historical African-American women in No. 2 pencil. Women of Accomplishment are notable African-American women from the past who have had a definite influence on everything from the entertainment industry to the civil rights movement. Women on display will include Hattie McDaniel, Bessie Coleman, Daisy Bates and others. The historical relevance is included with each image on display. Diel has been an art teacher and a professional artist for over 45 years, and has exhibited throughout the Midwest. Friday, Jan. 31 & Feb. 8, 6:45 p.m. Enjoy a conversation about the exhibit prior to Having Our Say on Jan. 31 and Feb. 8. The conversation is free and open to those attending the play that evening. Join Dr. Spencer Davis, professor of history at Peru State College, for a workshop and discussion of the historic context of Having Our Say and Harlem during the Delany sisters’ era. A question and answer format makes for an interactive experience for the audience member. Spencer Davis has taught at Peru State College since 1983 and holds a B.A. from Brown University, M.A. from University of Nebraska-Lincoln and Ph. D from University of Toronto. He is a member of Phi Beta Kappa and belongs to professional organizations, including the Abraham Lincoln Association, Organization of American Historians and Midwest Political Science Association. He is a member of Humanities Nebraska Speakers Bureau presenting programs on African-American History and Abraham Lincoln. He is a member of the Nebraska State Historical Society Board of Trustees and a Durham Museum consultant and speaker. He has contributed entries for Encyclopedia U.S.A. and Encyclopedia of Slavery, reviews in “Nebraska History” and articles to Proceedings of Dakota Conference on Early British Literature and Proceedings of the European Studies Conference. He has published articles on James Weldon Johnson and Ma Rainey. Dr. Davis has been married to Mrs. Vivian Davis since May, 1996. Join the actresses and crew for a post-show talk back for a behind-the-scenes discussion of challenges, techniques and ideas of creating Having Our Say.